What follows are two pieces of recently discovered art that were created back 1971. The first is an illustration, and the other text. Enjoy! When I joined Blue Dot it was made clear to me that my fretless instruments weren’t welcome. 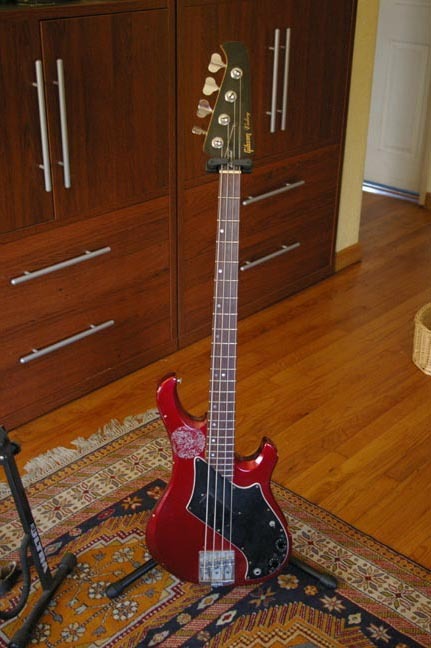 Although I borrowed a fretted instrument for a while, I decided to commit to playing one and purchased a pewter sparkle Fender P-Bass Lyte, which had active P/J pick-ups, a wonderful fast neck, and a lightweight body. It sounded great. Unfortunately, it got stolen out of my car after a gig so I was forced to play my Gibson Victory, which was back-breakingly heavy. After one gig with the Victory, I was hitting the recycler and found this very inexpensive, and somewhat thrashed, Japanese P-Bass. 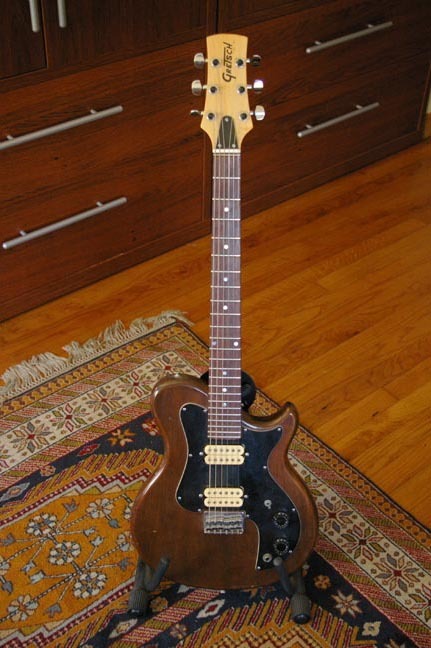 After reading an article by Rick Turner (A co-founder of Alembic, and owner of Renaissance Guitars) I replaced the existing p/u with a Seymour Duncan Quarter Pounder, and had it wired directly to the output jack, bypassing both the volume and tone controls. This produces a wonderful, bright, clean sound with lots of low fundamentals. This was my primary gigging bass for quite some time. 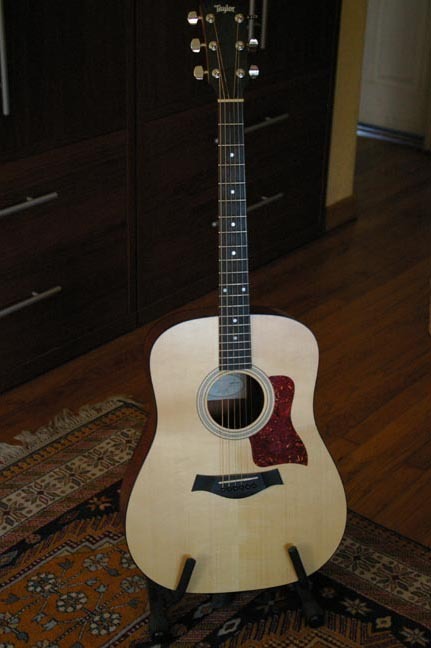 I’d inhereted a real POS Fender Acoustic from my Poor Old Joe bandmate, Brian Nelson. I never liked it, but never thought to trade up either. 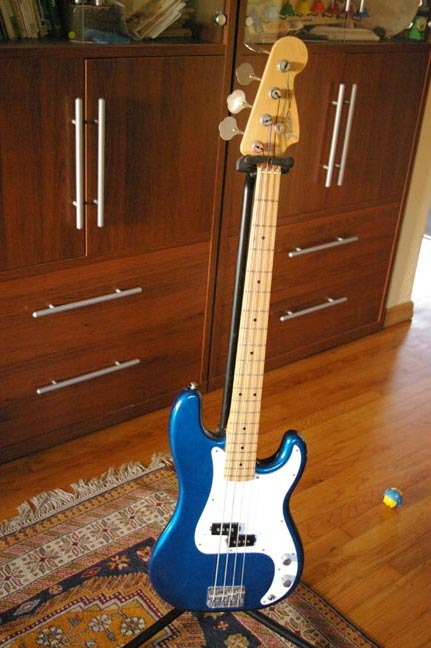 I started playing the Fender more, just to delve into it, and began to dislike it more and more. It was just a poorly made instrument. I decided that I’d rid myself of it and get something just a bit better. I decided rather arbitrarily not to spend more than $500. After many months of shopping, trying a variety of instruments, etc. I decided that Taylor’s bottom of the line instrument, the 110, was for me. It is made in the same factory as their $5000 instruments, and by the same staff. I found one for sale on Ebay that was in my price range AND that included a hard case. End of story. At some point I decided that I really needed an acoustic-ish bass. I was going for a more folksy sound at the time. My first act was to visit Jack Waterson who, at that time, was working at a music store called Guitar Guitar in North Hollywood. Jack, if you don’t know, was a founding member of, and bass player in, Green On Red, and by far the most ‘pro’ musician I knew at the time. He was steering me toward a beautiful, full bodied Guild which, without a doubt, was a finer instrument but, unfortunately, it was more expensive and didn’t come with built-in electronics, something I was looking for. 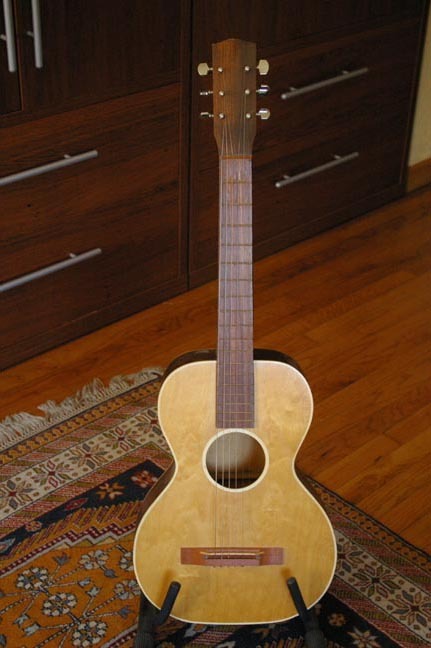 They had two versions of the Washburn AB-20, a fretted and a fretless. 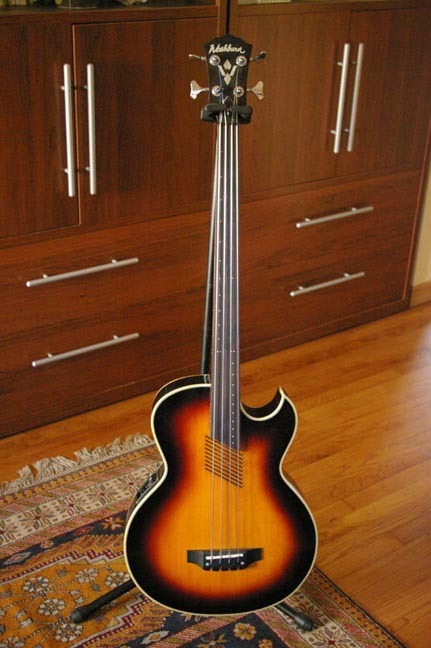 I opted for the fretless. 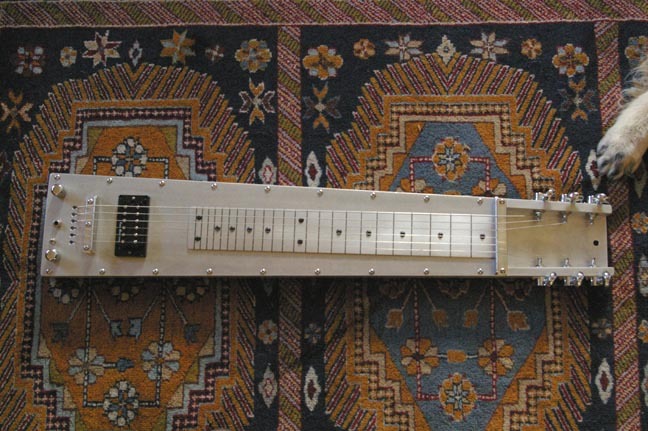 It has a simple piezo pickup under the bridge, and an on-board preamp/eq that was made by fishman (?). This was my primary gigging and recording instrument for the early acoustic days of Poor Old Joe.